BMW ConnectedDrive is the BMW infotainment system that keeps you connected, entertained, and more! Pair it with the BMW ConnectedDrive app and get remote access to your vehicle, as well as additional conveniences. Discover how BMW ConnectedDrive can maximize the time you spend on Lafayette roads in your new BMW today! iDrive: Consists of a controller, screen, and touchpad that provide control of entertainment, information, communication, navigation, and more. BMW ConnectedDrive app: Sync your contacts and calendar, read your emails and check your texts directly through the infotainment system. The BMW Remote app also allows remote access to lock or unlock your car doors. Access to apps: Take advantage of Yelp, Pandora, Stitcher, Twitter, and more, right from your dashboard. ConnectedDrive even reads Facebook feeds out loud, so you don’t need to peek at your phone. Easily navigate BMW ConnectedDrive features from inside your vehicle or from the convenience of your phone! Costs for BMW ConnectedDrive can vary depending on the services you choose to include. Drivers in Walnut Creek have the option of purchasing additional services, such as BMW Internet or Concierge services. To get a quote for the services you are interested in, contact us at BMW Concord and one of our knowledgable associates can provide you with the most up-to-date pricing. Visit the BMW accessories update page on your computer. Connect your computer to your vehicle using the BMW adapter cable. Select the update needed and download it. Open the app and follow the instructions to finish the update. If you find yourself running into issues, you can always contact the service center at BMW Concord and a technician can walk you through it. 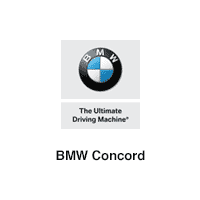 To experience BMW ConnectedDrive or other BMW technologies like BMW xDrive and sDrive systems, head on over to BMW Concord near Pleasant Hill. We can tour around the ConnectDrive equipped models in our inventory, and let you test out the system in person. Contact us to set up a time, or if you have additional questions about BMW features and accessories.